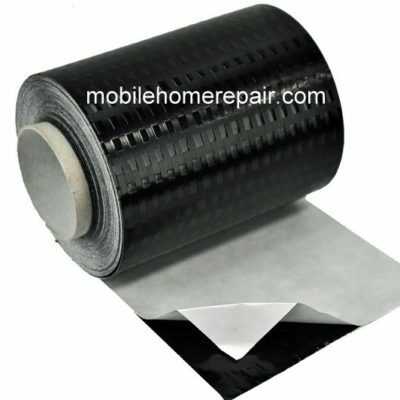 Find mobile home underbelly materials, adhesives and repair tape. Material for replacing belly in a singlewide home. Order two for a doublewide. 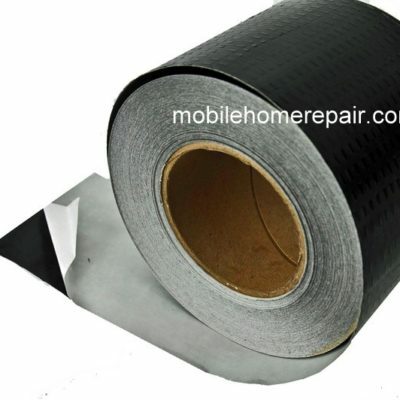 4″x180′ Flexmend Belly Repair Tape. 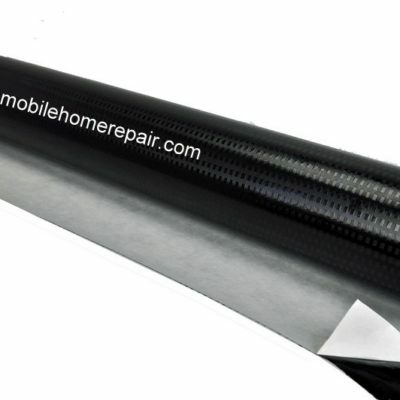 180′ roll repairs ripped or torn bottom closure material. Was $78.00. 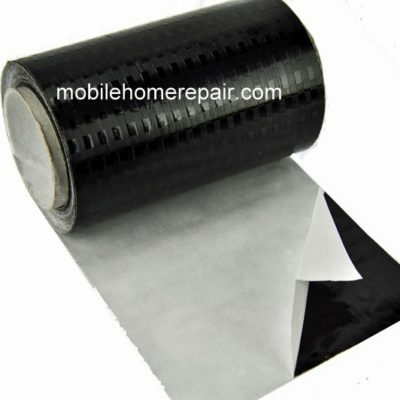 28″x25′ Flexmend Belly Repair Tape. 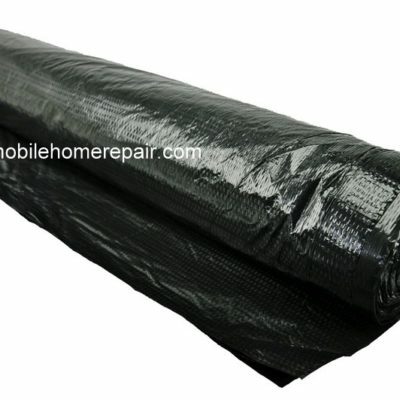 28″ wide roll repairs large openings in bottom closure material. Was $79.00. 5020 Extreme belly repair kit. Guaranteed to patch small and medium holes in any type of underbelly. 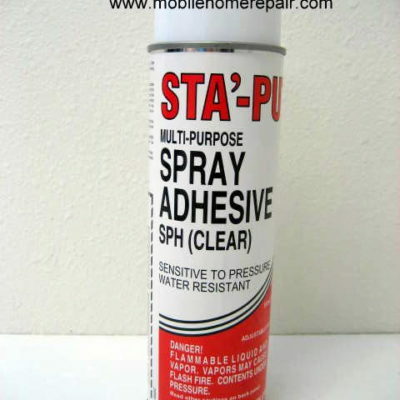 Includes one 15oz can of Sta-Put adhesive and 16 sq/ft of repair material. This is the kit you want if you aren’t sure what will repair the holes in your underbelly. Note: cannot ship international. 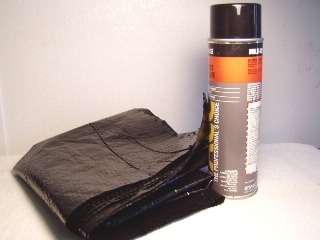 15oz can of clear Stay-Put adhesive is like a superior sprayable contact cement. Spray both surfaces and stick together after 2-4 minutes. Great for underbelly repair. Adheres tub surrounds, laminates, tiles, mirrors, edging, plastics, cloth, vinyl and surfaces where a strong bond is needed. Do not use on surfaces that are exposed to intense sunlight. 5015 Flexmend Belly Repair Tape 4″x50′. 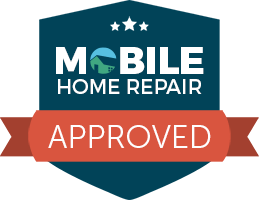 50′ roll repairs ripped or torn bottom closure material. Was $27.88. 25′ roll repairs ripped or torn bottom closure material. Was $15.95. 5040 Cut-to-size Mobile Home Underbelly. Order any length you desire. 16′ wide. Enter length as quantity.